partnering with this source. 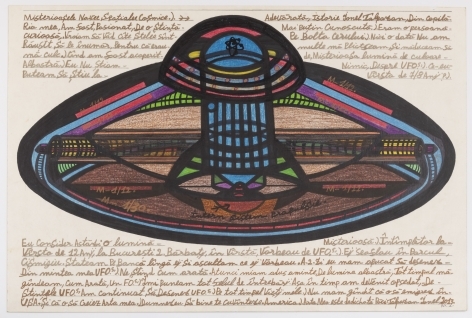 For decades, Talpazan has been engaged in what he considers to be research of UFO technology by producing countless drawings on board, depicting alien spacecraft. 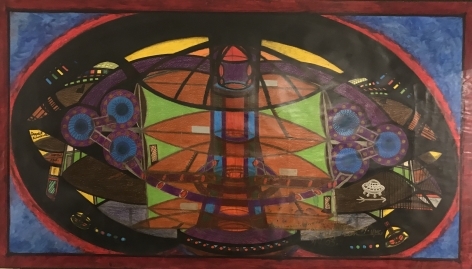 These are often colorful, dynamic views of what a craft might look like to the human eye, and also diagrammatic views that depict the inner workings of alien technology. 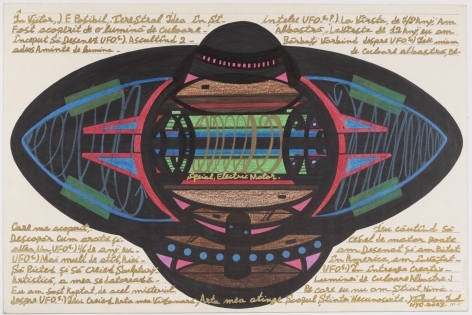 Talpazan’s work is driven by a powerful and generative paradox: he feels he possesses knowledge for which no measurable language yet exists, yet he feels obliged to present it to the world in a palpable way. This challenge is what charges each drawing with energy. 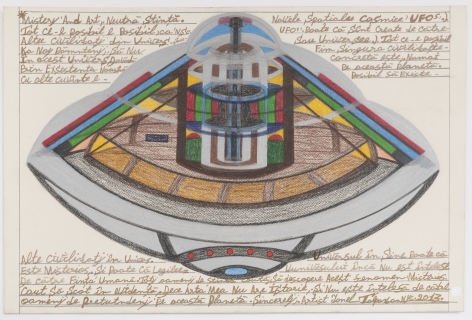 His crafts appear to whirl at high speeds, propelled by complex but believable propulsion systems. 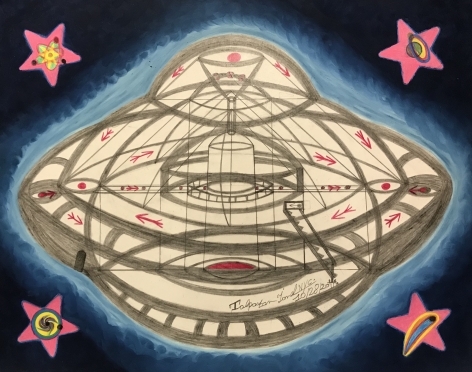 Talpazan’s strong conviction in his unexplained knowledge is what gives these drawings their authority, and his lifelong dedication to sharing his vision with us is truly awe-inspiring.